The original Beach Boys had thirty-six U.S. Top 40 hits (the most of any U.S. rock band) and fifty-six Hot 100 hits, including four number one singles. 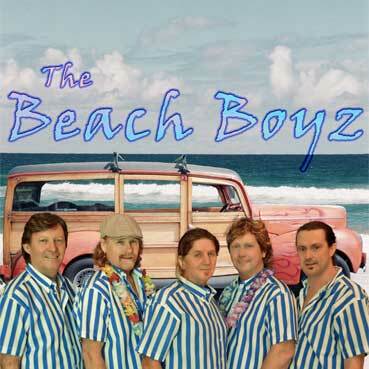 According to Billboard, in terms of singles and album sales, The Beach Boys are the No. 1 selling American band of all time. For over ten years, The Beach Boyz have entertained audiences throughout Australia, retaining and honing the same five part vocal harmonies to the standard of Brian Wilson. Authentic vintage Fender guitars and amplifiers are used in the performances. Don't miss the greatest celebration of some of the greatest music of the 20th century. 100% totally live. No backing tracks, no empty promises. Music to make you SMILE!